Blaze Control Sprinkler Systems are constructed from copper pipe with brass fittings that provide durability, low maintenance, long service life and design flexibility to suit all building designs. The volumes of water used, the system operating pressures and the correct sizing of pipework and the pump are all the subject of calculations to ensure the hydraulic performance of the system. 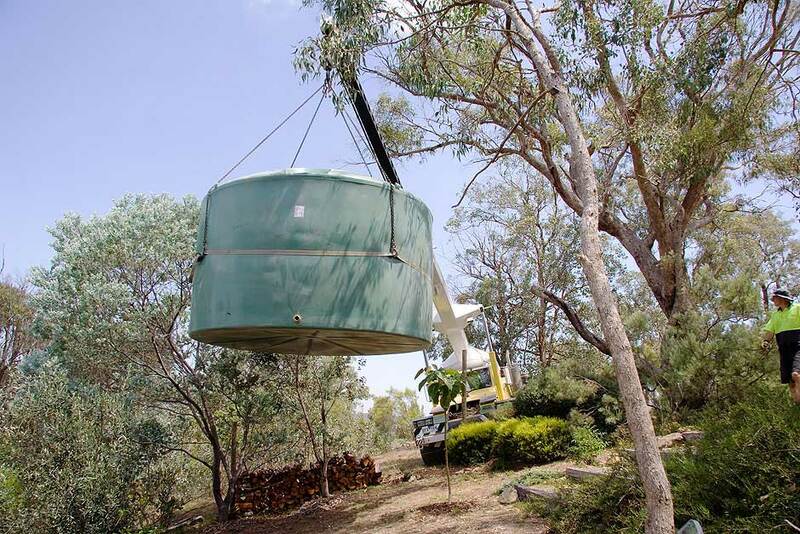 This minimises the loads applied to the pump under the extreme conditions experienced during a bushfire and allows accurate determination of the run time for the system. 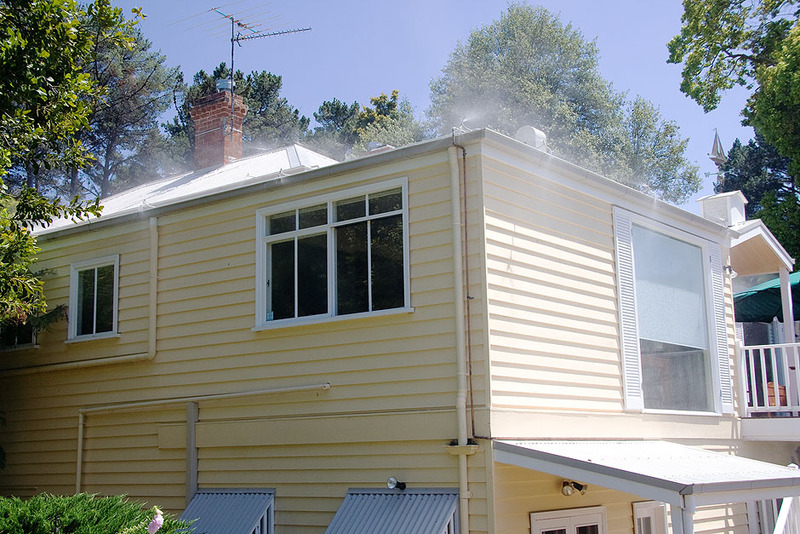 The system is custom designed to provide water coverage to "all" of the buildings' fire exposures including windows, decks, sky lights, gas bottles and under floor areas where applicable. 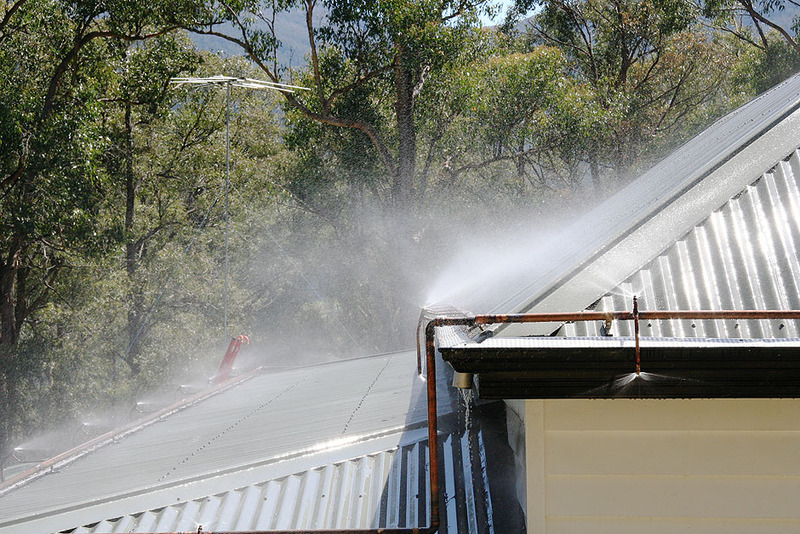 Water is directed to completely cover the ridge, valley and gutter lines of the roof and all of the walls of the building. The copper pipe is mounted to the roof of the house on stand off brackets which are insulated from the roof by plastic spacers. 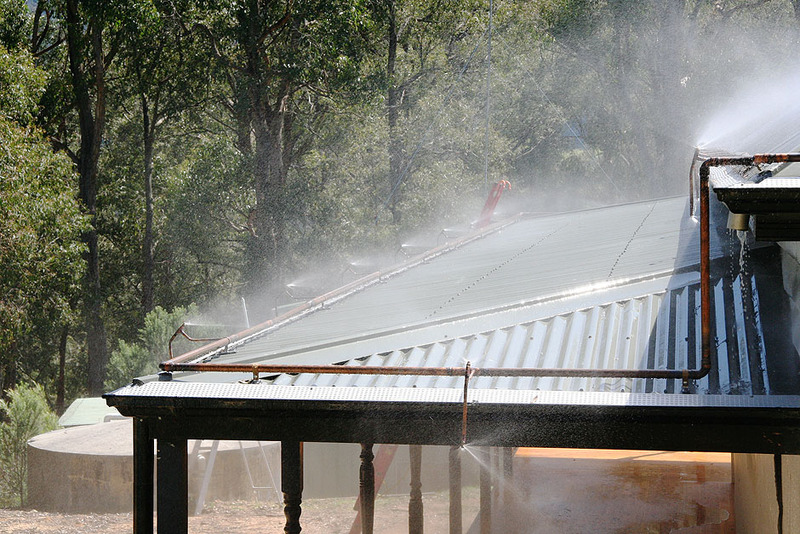 This eliminates the potential for corrosion from a reaction between the copper pipe and zinc or colorbond roofs and minimises leaf build up around the pipe. 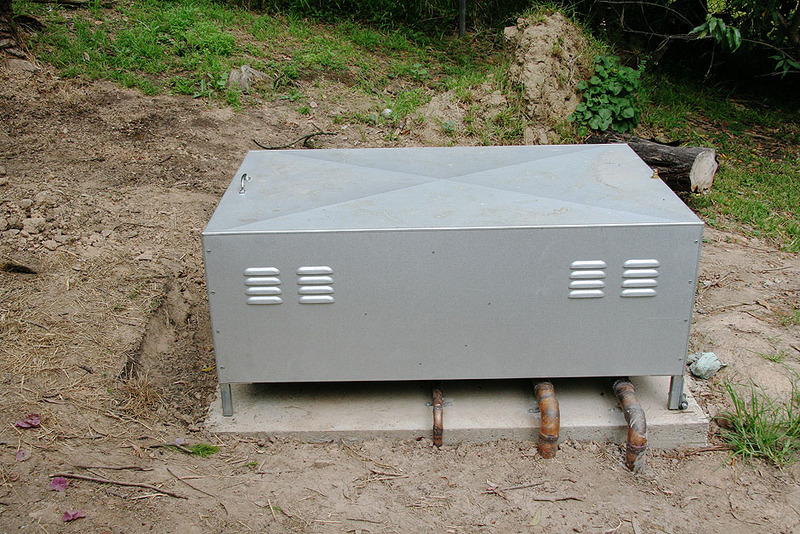 A high quality petrol or diesel pump with either pull or key start option is mounted on a concrete slab and used to drive water through the system. 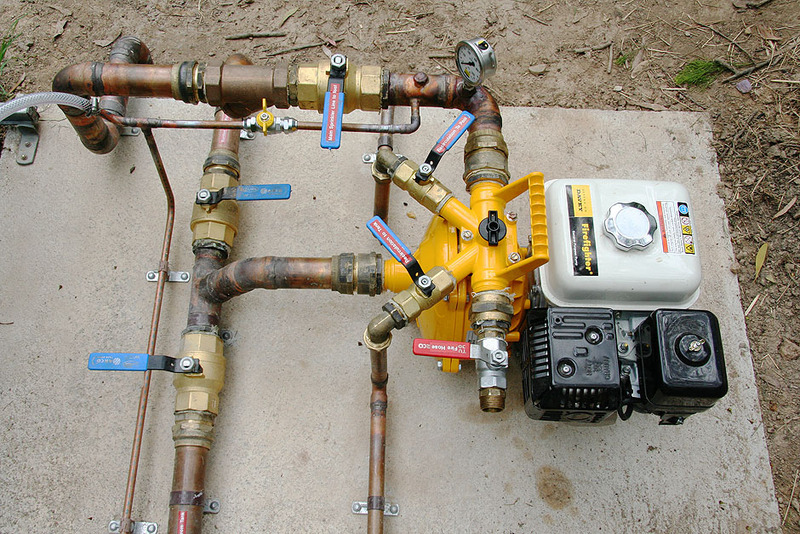 The pump is enclosed in a vented pump cover that has its own dedicated sprinkler. 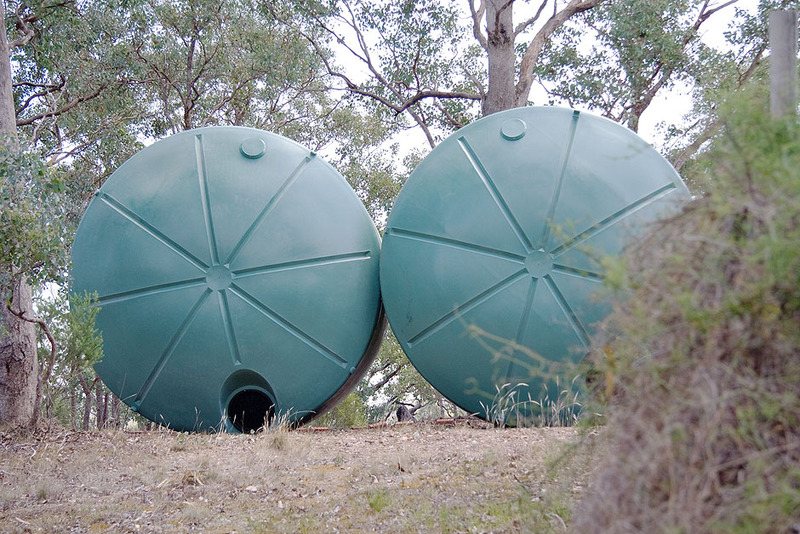 The pump cover sprinkler protects and cools the pump and overcomes fuel vaporisation sometimes experienced with petrol driven pumps when used in extreme temperature conditions. Petrol driven pumps are much more affordable than diesel driven pumps. The brass sprinkler heads have no moving parts and are easily removed and serviced should any blockage occur. Impact or butterfly sprinklers have moving parts that are susceptible to corrosion that can render them inactive. 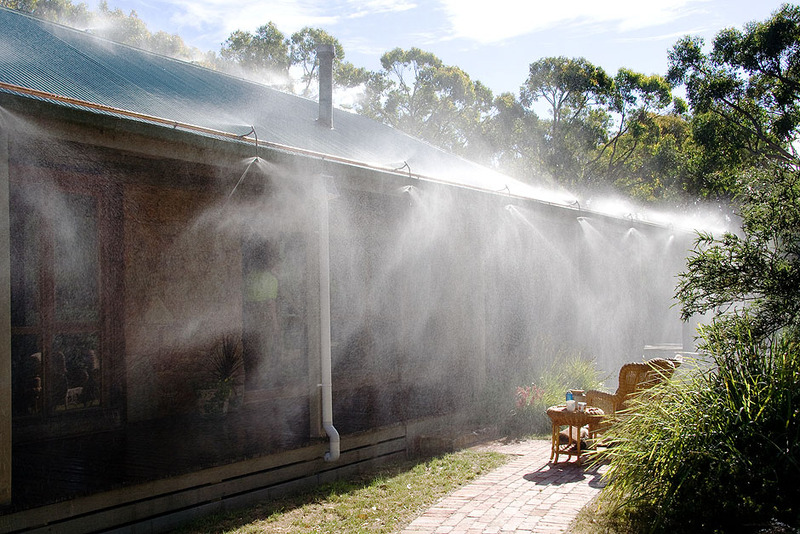 These types of sprinklers (Impact or butterfly) use large amounts of water and are ineffective at dispersing this water due to wind and evaporation loss. Two stage filtering that is easily serviceable is provided on the system to keep contaminants out of the system. A 'valve controlled' recirculation line (A pipe from the outlet side of the pump back to the water supply) is provided that allows the owner to start and run the pump at regular intervals (for service, familiarisation and training) without running the sprinklers and wasting valuable water supplies. 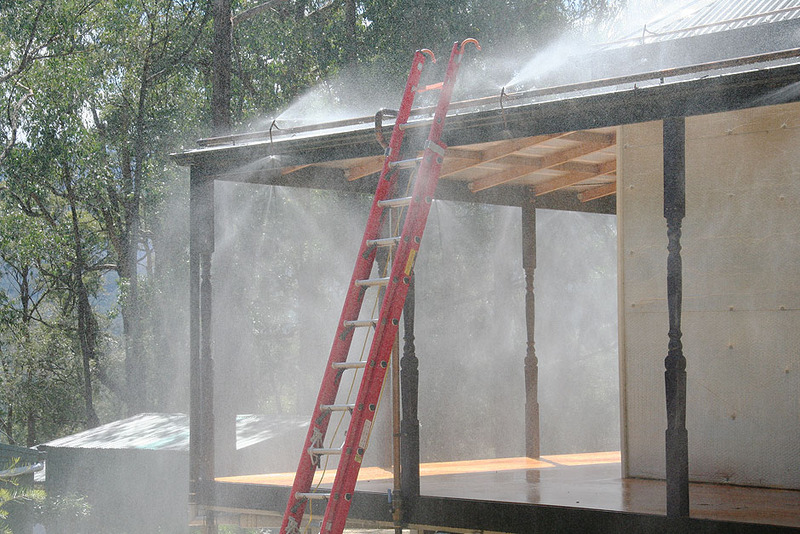 The system has the provision for the connection of a fire hose (25mm) for extinguishing spot fires in areas of the property not protected by the sprinkler system. 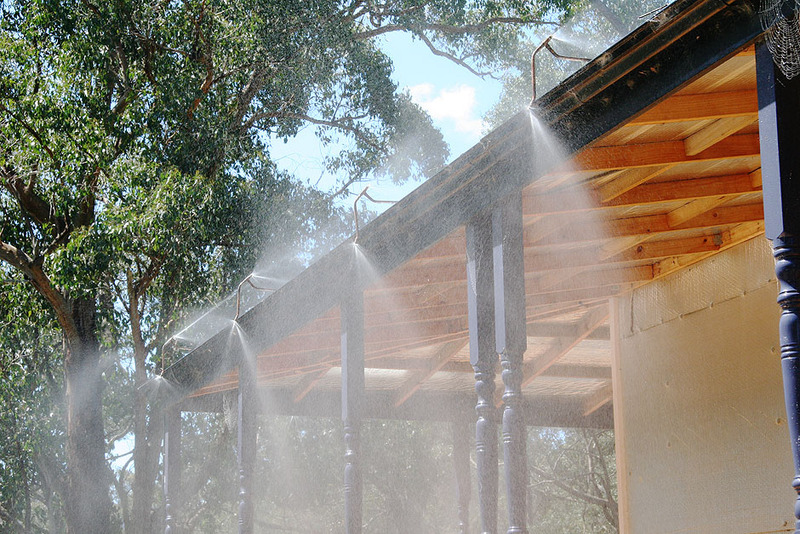 The sprinkler system can be designed to draw water from any existing water sources such as swimming pools, dams, tanks, etc or a new tank can be installed with the sprinkler system. 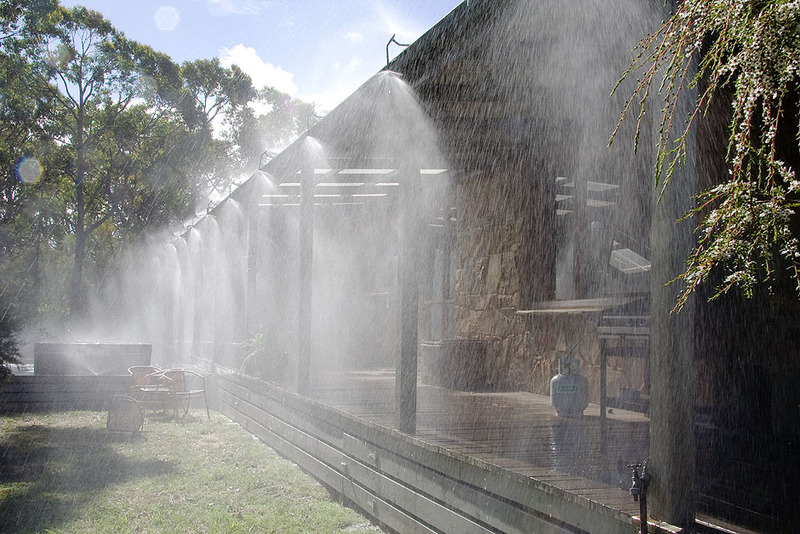 The Blaze Control Bushfire Sprinkler System was developed using the experience of over 40 years of volunteer firefighting service with the C.F.A. and 40 years experience in the Plumbing Industry. 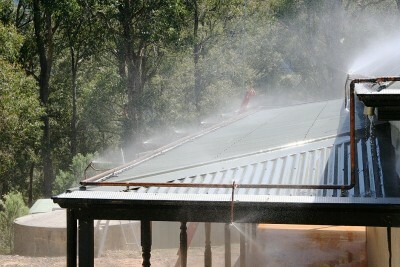 The Blaze Control Bushfire Sprinkler System complements all C.F.A., Local Shire Council and C.S.I.R.O. 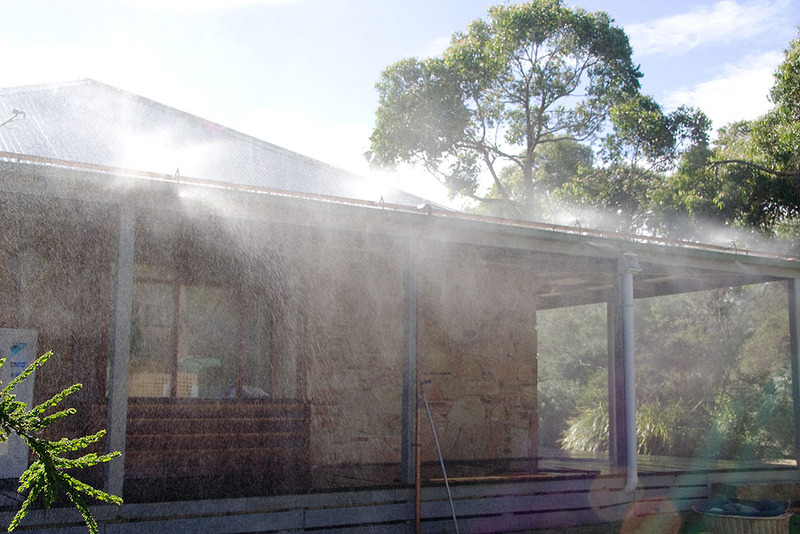 recommendations for house protection and property maintenance in bushfire prone areas. 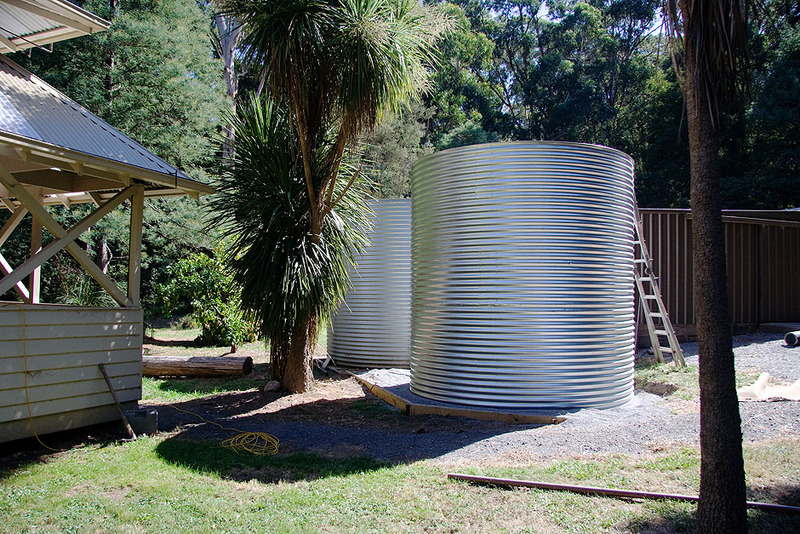 Systems are designed with a water supply sufficient to provide a minimum of 1 hour of operating time. With the high winds that normally accompany a bushfire the main fire front should pass within 15 -20 minutes. 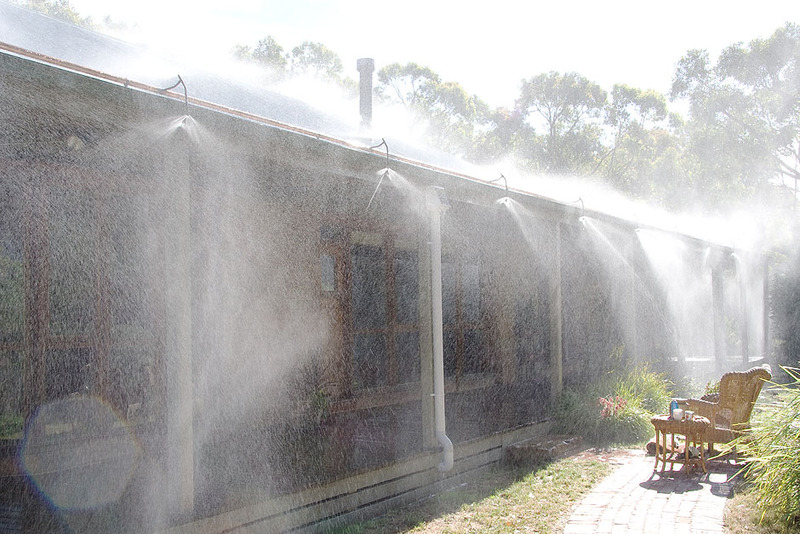 A 1 hour water supply will allow adequate water to wet down the building prior to the fire front's arrival, to protect it as the fire front passes and to extinguish any spotfires or ember build up after the fire front has passed. Customers are encouraged to install additional water supplies to increase these run times. Sprinkler system installation time for an average family home would be approximately 4 to 5 days. 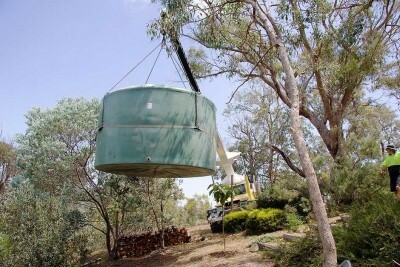 The installation time is dependent on the building design and size, roof pitch, water supply type and location. This feature also allows starting of the pump well in advance of the fire arrival, to warm up the pump and takes away those last minute "panic" starts. Note: A pump should always have water flowing through it to keep the unit cool. Laminated operating instructions for starting the pump and operating the sprinkler valves are provided. Full training for the occupants, home owner, their family and any friends or neighbours who may need to know how to start the system is also provided. Instruction is also provided for basic servicing of the system or annual servicing by Blaze Control can be arranged. 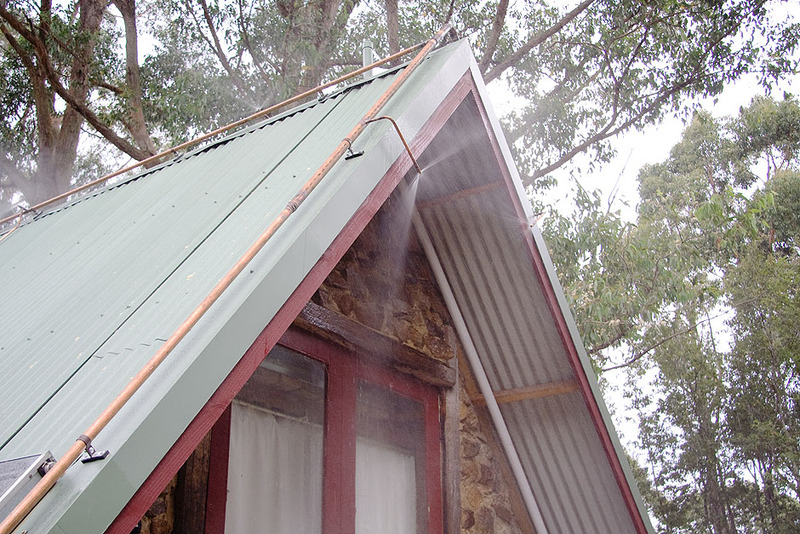 Blaze Control Bushfire Sprinkler Systems are covered by a Plumbing Industry Commission Certificate of Compliance. 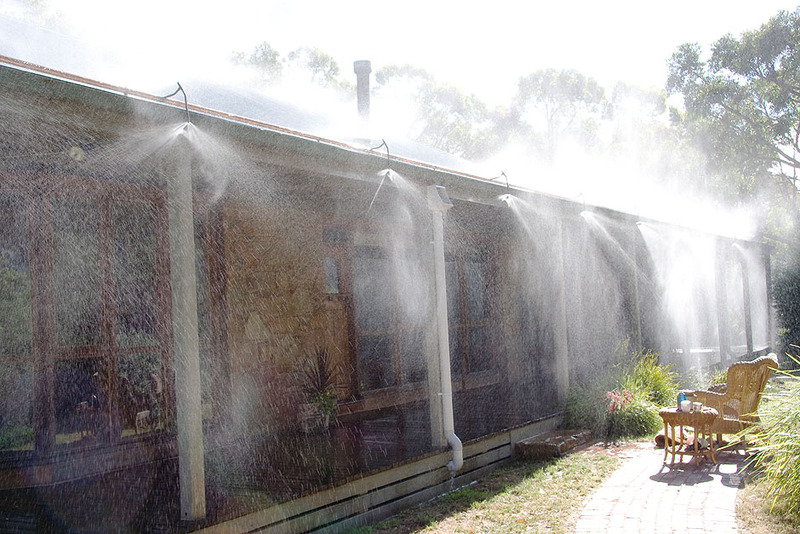 Blaze Control Sprinkler Systems have been installed on Community Refuge Halls, Primary School Refuge Areas and residences throughout many areas of Victoria. On request we can arrange for a demonstration of the systems capabilities in an area near you. Remote starting and pump start confirmation using SMS text messaging on the Mobile phone network can be installed as an option. Automatic sprinkler system / pump activation triggered by heat activated sensors and a pressure switch. Ember proofing of the building to AS 3959 building standards, is required with this option.